This pattern is licensed to Adelphi Paper Hangings by Cooper-Hewitt, Smithsonian Design Museum. 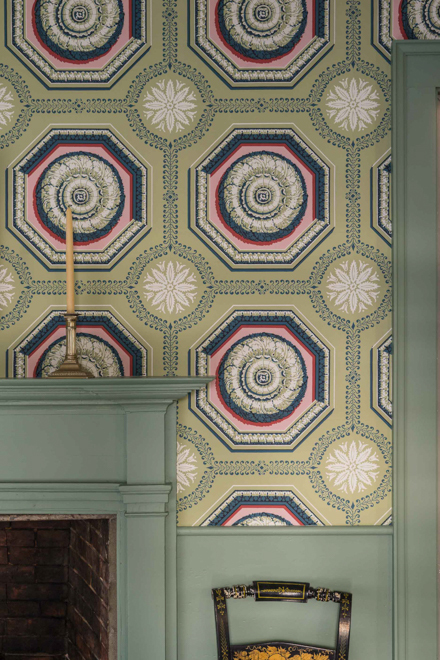 Reproduction of this pattern was commissioned by the Dumbarton House, Washington, DC. 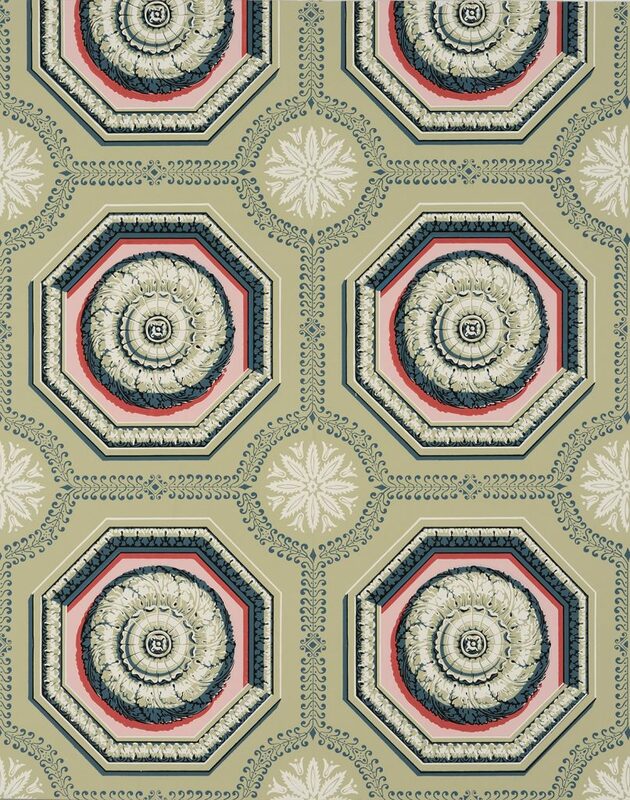 Architectural patterns such as the Coffered Rosette, which today might seem to be intended for a ceiling, were, in the 19th century, typically used as a sidewall paper for a large public space, such as a hall or stairway. The original document for Adelphi’s reproduction of this pattern was found covering the lid of a well-used wooden box. At first look the colors appeared to be a soft salmon and dull red around the rosette, but after close examination it turned out to be a very bright pink and an equally confident red. These colors are very similar to those in the Anthemion Border, which dates from approximately the same period.